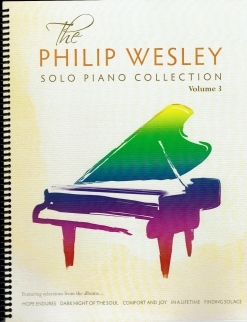 Philip Wesley’s Solo Piano Collection, Volume 3 is a sheet music compilation with selections from five of Wesley’s recordings. 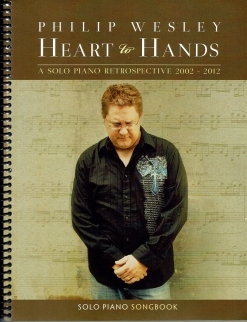 There are two piano solos each from Hope Endures, Comfort and Joy, In a Lifetime, and Finding Solace, and four from Dark Night of the Soul. The book is spiral bound and has full-color covers front and back. The music is printed on a bright white medium-weight paper stock, and the notation is spacious, clear, and easy to read. Most of the pieces are at an upper-intermediate/early-advanced playing level, and more advanced fans of Wesley’s music should be able to play these pieces quite easily. Wesley’s arrangements of “Silent Night” and “We Three Kings” are included, as is his “Ode to a Composer,” which is based on the Pachelbel “Canon in D” - except that it’s in F! 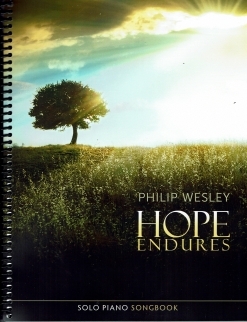 - so there are familiar pieces as well as Wesley’s original compositions. A few of the pieces have metronome settings, but none of them have phrasing. There are suggested pedalings for all twelve of the pieces. I have enjoyed playing all of this music and can easily recommend this book. 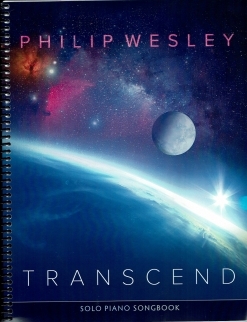 Philip Wesley’s sheet music books and downloads are currently sold only from his website, and Solo Piano Collection, Volume 3 is available there as hard-copy books, PDF books, and individual pieces.